I'm not gonna lie, this post may have been scheduled as right about now I'm probably sitting at the table in my aunt's house eating Christmas dinner (turkey, ham, sausage stuffing, roast potatoes, loads of gravy mmmm...), pulling crackers, exchanging presents or playing board games with my wonderful family. 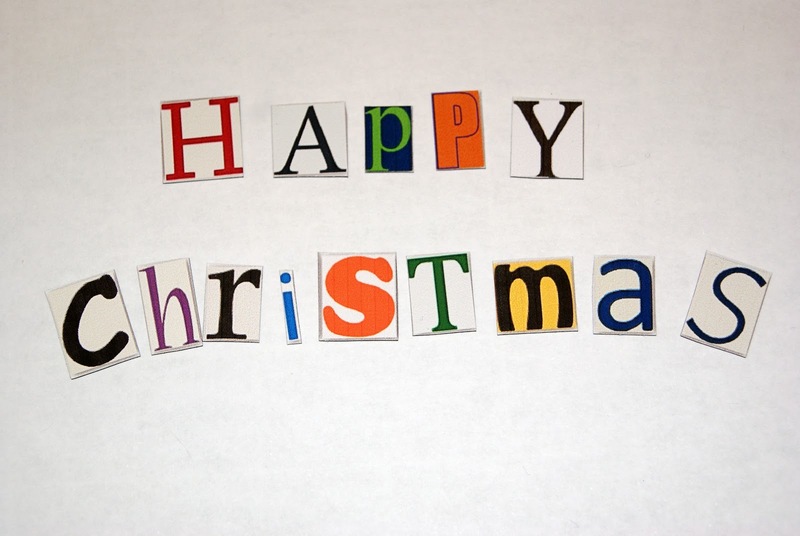 But I just wanted to be sure to wish all of you a wonderful Christmas also. As a little Christmas present to you all I'm having a sale at my TPT store until tomorrow. St. Stephen's Day (Dec. 26th) is a becomming a bit like an Irish version of Black Friday as this is when the January Sales start. So I'm giving you guys 20% off everything in my store!! Click here to grab some bargains! I have a few quick little Christmassy things that I want to get up on the blog before Christmas, in case anyone is in need of a last little bit of inspiration! 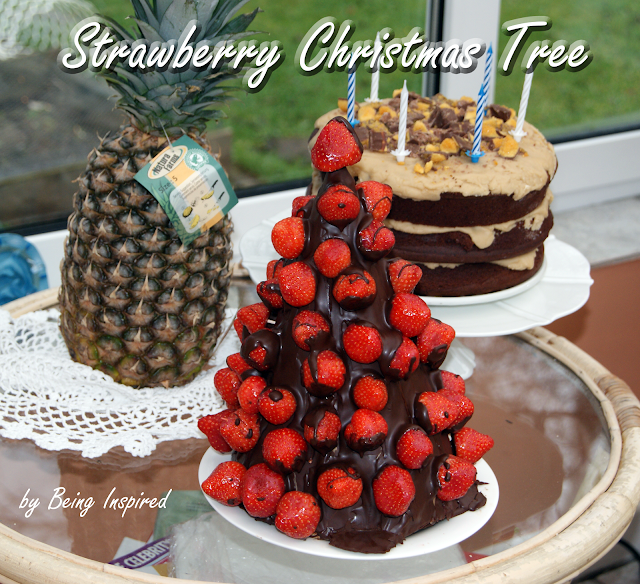 :) I had seen these cute strawberry Christmas tress all over pinterest (like this one from Can't Stop Making Things) so I just had to have a go myself! It sounded pretty simple - grab a styrofoam cone, pour melted chocolate on it and stick the strawberries to it. Unfortunately, life is never simple! :) Firstly, I couldn't find a styrofoam cone anywhere! I eventually found a site I could order them from online but they wouldn't have arrived on time. So I went to a flower shop and bought a piece of oasis! I made a cone shape out of a piece of card and cut the oasis to fit underneath it. Then I covered that in baking parchment and poured the chocolate on! I was feeling pretty proud of my problem solving skills. But I wasn't finished yet. I started sticking on the strawberries but they wouldn't stick! They just kept sliding down the cone! I'm sure if I had had more time I could have done the bottom row and waited for the chocolate to harden a little and then do the next layer. But I was in a rush, guests were starting to arrive! So I roped in some helpers (my sister and cousin) and we decided to try pushing cocktail sticks into the cone first and then sticking the strawberries onto them! If the cone had been made of styrofoam this would have been genius! But getting cocktail sticks through baking parchment, card and oasis is tough!! We persevered though and it was all looking great until ... we ran out of strawberries!! So we ended up with a half empty tree of chocolate covered strawberries. :( But it was still a huge hit! Everyone loved it! - Use a styrofoam cone if possible. - Keep some cocktail sticks handy in case your strawberries start to slide. Well would you look at that, I'm actually on time with my freebie this week!! :) And it's almost Christmas so I'd have the perfect excuse if I was late. This week's post is all about time aptly enough. First up I want to share a Telling Time activity I've been working on. 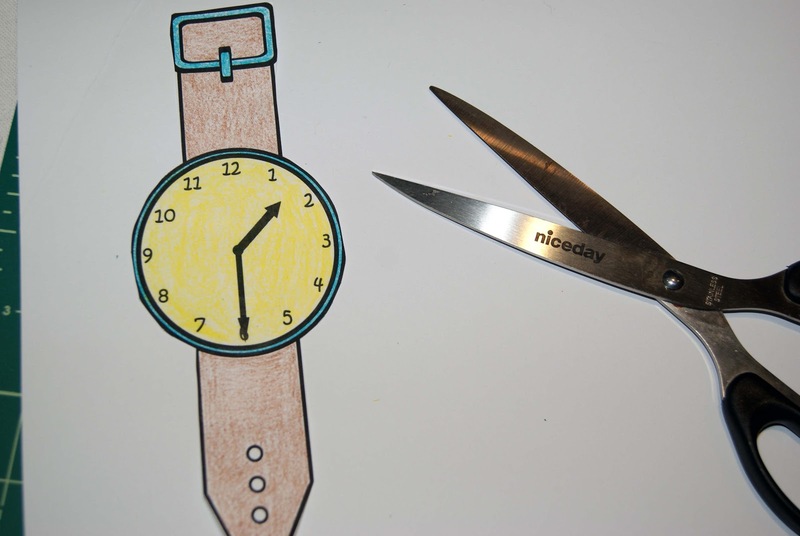 The pack includes activities and worksheets to teach telling time to the hour and half hour. 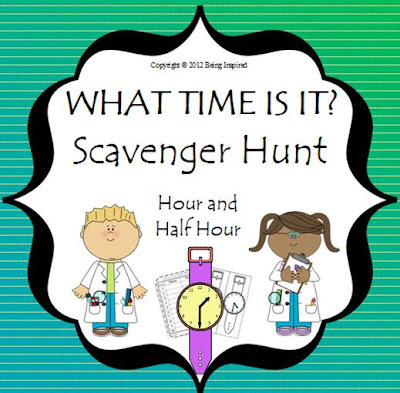 The main activity is a wristwatch scavenger hunt. Each child gets their own watch which they colour and cut out. You can choose only time to the hour or half hour or a mixture of both. 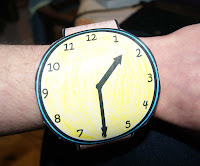 I've also included blank watches so you can add in some tricky ones to challenge your more able students. 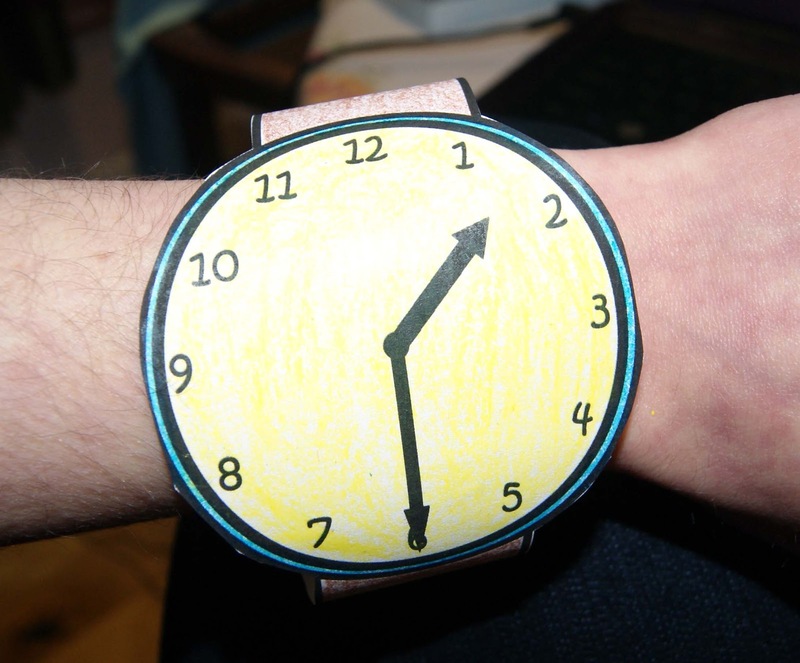 Then they put their giant watches on and use some sticky tape to close them. 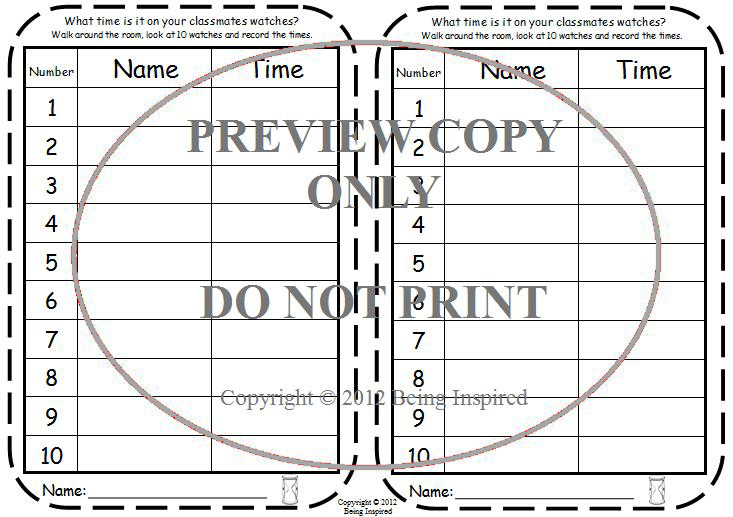 If you plan on using the watches to complete all the checklists or for reviewing time later in the year it might be worth covering them with clear contact to protect them or print them on light card.
. Click here to find out more! And still on the theme of time - - > this week's freebie! 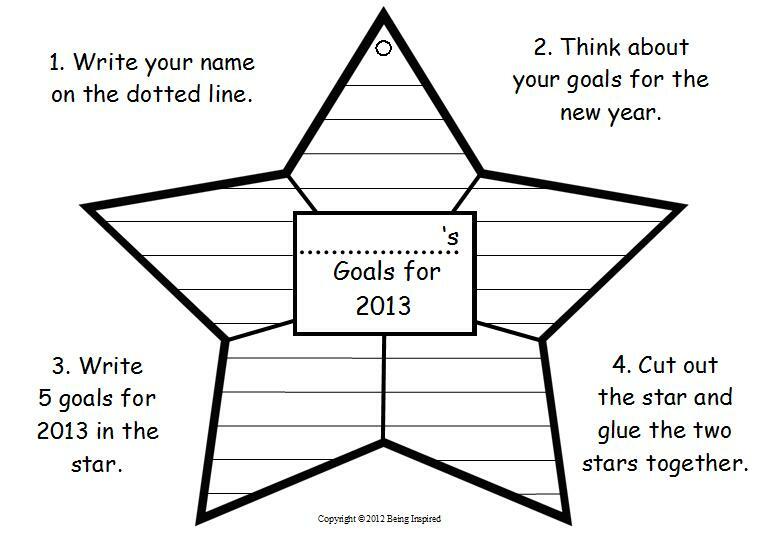 The beginning of a new year is a great opportunity to teach reflection and goal setting skills. 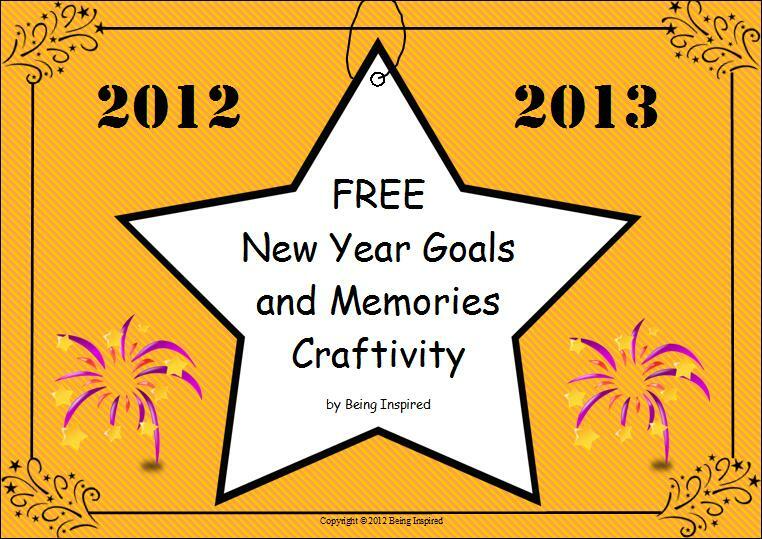 This little craft is a great follow up to discussion on what your class have achieved this year and what their hopes are for 2013. I've included a few different versions with differing amounts of writing and drawing requirements so you can pick the ones that suit your students. 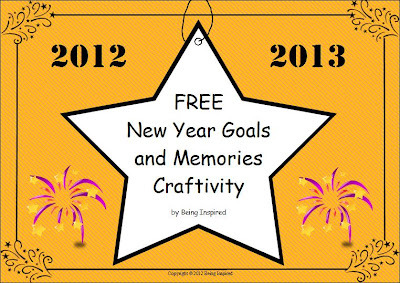 But the basic idea is that they write about their memories of 2012 and goals for 2013 on these stars. 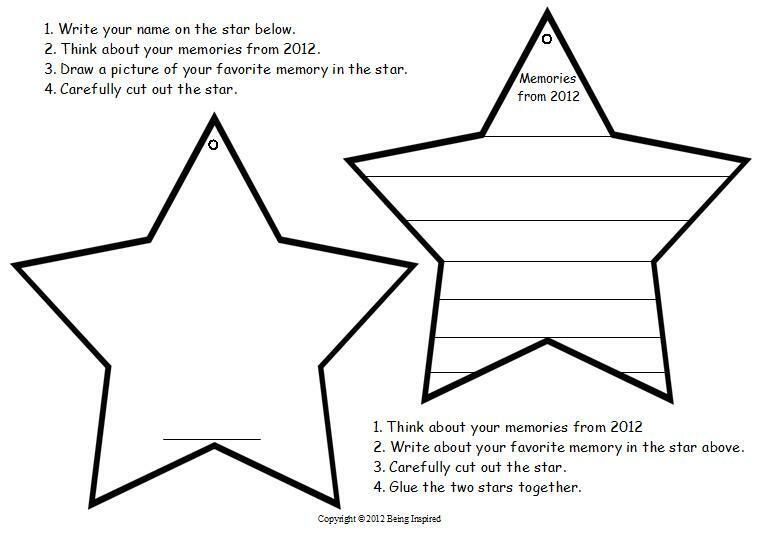 Then cut them out, stick the two sides together and hang them in your classroom as a visual reminder of all they have achieved and their dreams for the new year. 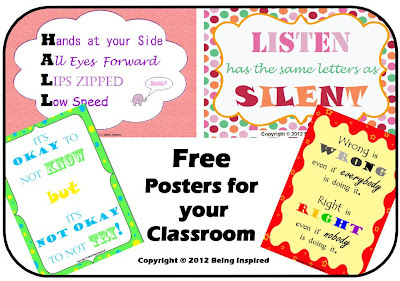 And if you'd like some more freebies - - > click here! Umm so it appears I'm late for Friday Freebie again this week... Sorry!! I may have to make Friday Freebie a once a month thing, we'll see. I promise it won't vanish completely though! 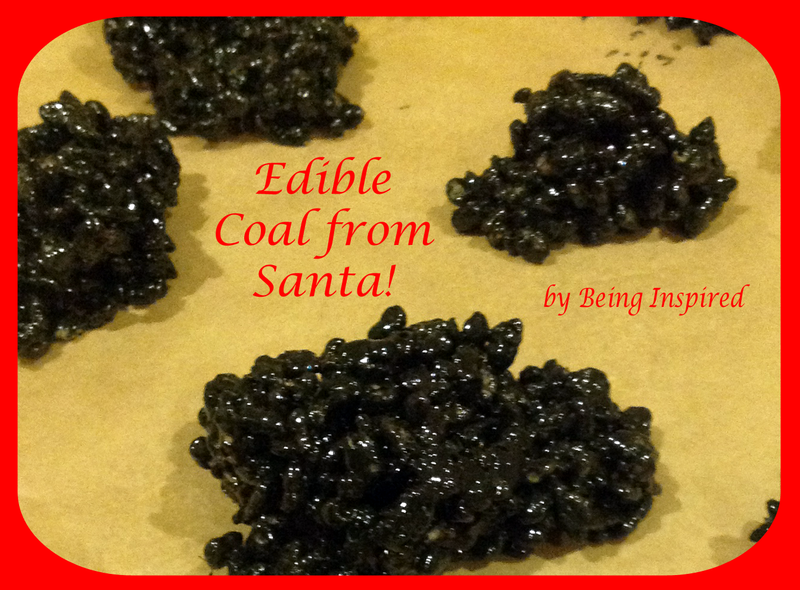 They're easy and fun to make and taste pretty delicious so I though they'd make cute little presents to give to your class! 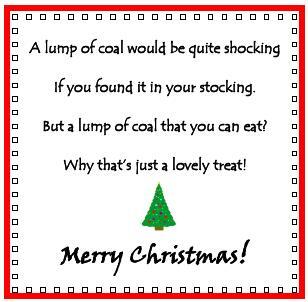 But seeing as little kids tend not to like being told they're naughty I came up with this cute little poem to let them know these lumps of coal are pretty special! - Just use your normal Rice Krispie Treat recipe (I use this one) and add black food colouring! I found some at a kitchen supply store but you can buy some on amazon too. I used liquid food colouring and had no problems so go for that over gel/paste if you can. 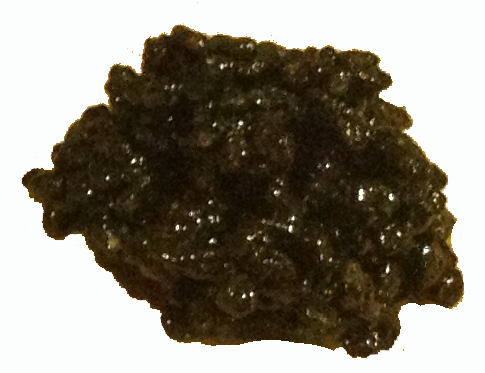 Once you've melted your marshmallows and butter just add in enough drops to turn the mixture black. - Then mix in your Rice Krispies until they're fully covered. - The next part is the messy bit. Lay out some baking paper on your counter and spoon little odd shaped dollops of the mixture onto the paper. You could also put butter on your hands and use them but be warned it's very sticky!! - Then once they've set a little you can put a few into a clear plastic bag and tie it with ribbon. 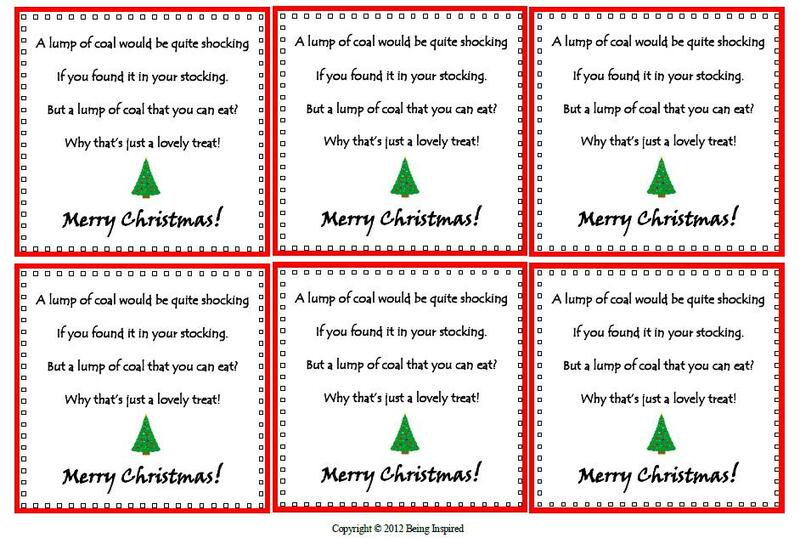 - Print out these little poems onto card and tie them to the ribbon or onto sticker paper and stick them to the bags. Click here to download the poems. 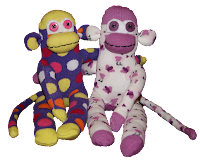 - Don't worry about the size or shape of these little guys, the odder they are the better! *Update: I made some more and tried using disposable plastic gloves spread with butter to make the - much easier! Click here to enter my 100 follower Giveaway!! I'm trying to make as many of my Christmas presents as possible this year but I can't share many of them yet as their recipients might see them! 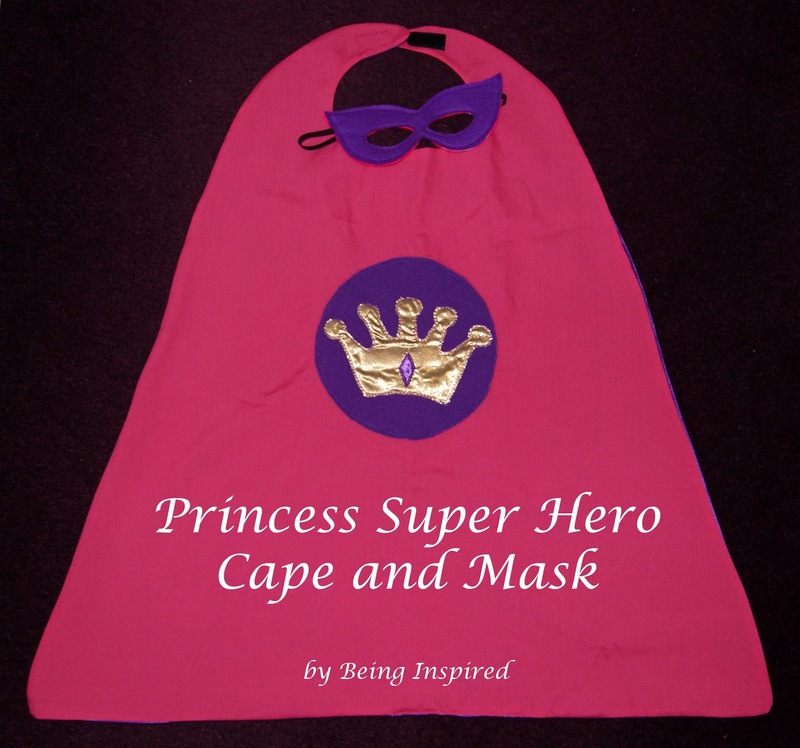 But I'm pretty sure the little girl who's getting this Princess Super Hero Cape doesn't read my blog. :) So I thought I'd share some pictures of it. There are loads of great tutorials for making capes so I'm not going to do a full tutorial but these are the blogs that inspired mine: I used the patterns from Serving Pink Lemonade for the top of the cape and the princess crown and Living Locurto for the eye mask. And I got the dimensions for my cape from How Does She. Once you've cut out your pieces sew your logo onto the center. 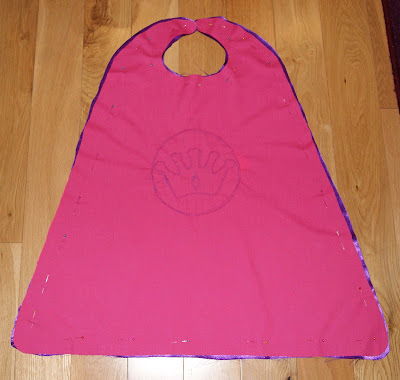 My cape is purple on one side with a SuperGirl T logo (the little princess' name begins with T) and pink with a princess crown on the other side. I had found gorgeous gold fabric to use but it frays really easily so in retrospect it wasn't the best choice. I ended up using a zig-zag stitch around the outside so hopefully that'll keep it secure but use felt if you can, much less hassle! Then just pin the pieces right sides together and sew around the outside. Don't forget to leave a gap so you can turn it. It's a good idea to cut into the excess around the collar so it doesn't pucker so much. Then just turn it the right way out, press it and sew up the gap using a ladder stitch. This is purple side of the cape (which needs to be ironed!). I also made a Princess Super Hero mask to match, pink on one side and purple on the other. You could also make super hero cuffs but this costume is more Princess than Super Hero so I might add a crown or wand, we'll see! I'll make sure to update this after Christmas with pictures of it in action but until then this little cape is just hanging out, waiting to be worn! - It was a little tricky working out what size to make it as I can't measure the little princess! But I'm hoping it'll be okay and I put a large piece of velcro on the neck so it'll be easy to adjust it. - You could attach the velcro before sewing the two pieces together but it felt it would be a bit more secure to do it afterwards, just use co ordinating thread to keep it looking pretty! - I had a huge disaster when I was cutting out the purple fabric. I had it folded in half and traced the template for the collar on the wrong side!! So when I opened it out the collar pieces went the wrong way! :( I tried to patchwork fix it but ended up buying more fabric, it is a Christmas present after all! But just make sure you double check before you cut!! - You obviously could make this in black and red for a Batman and Superman cape if Princesses aren't your thing. :) Next time I have some free time I'm going to make a set for my classroom role-play area! 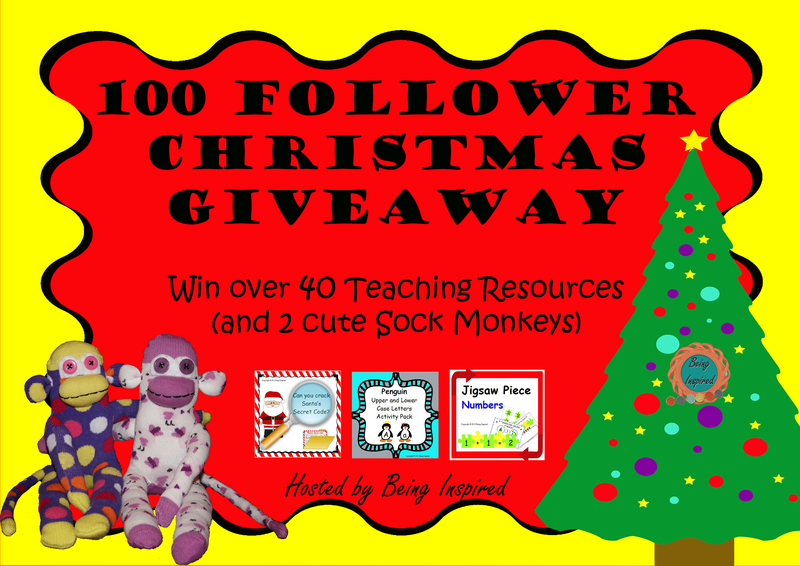 Oh and be sure to enter my Giveaway to win two cute sock monkeys and lots of teaching resources! My CVC Word Jigsaw center is by far my most popular product in my store so I thought a follow up pack would be a good idea. So I made a Jigsaw Sentences pack! This is great for building reading skills and for teaching the basics of sentence structure. 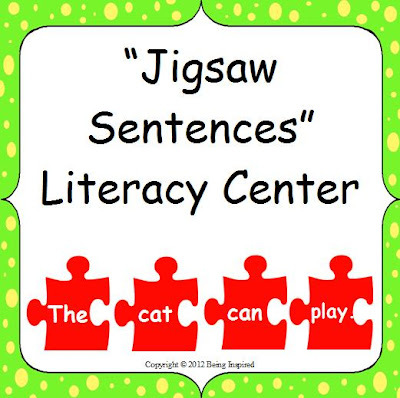 There are 9 sentences, each made of 6 words on jigsaw pieces. 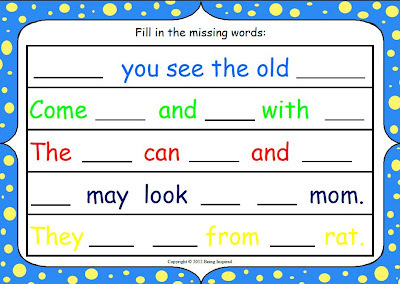 Each sentence is a different color so the child just has to focus on reading each word and putting it in the correct order. There's also 3 sheets of extra words so they can mix and match and create their own sentences! And it comes with worksheets to reinforce what they have learnt. There are pages to practice writing the sentences, illustrating them and fill in the blanks worksheets. 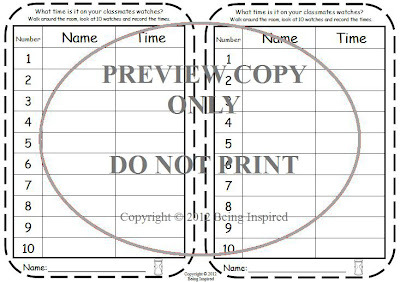 Each comes in color and b&w so you can print and laminate and use with a whiteboard marker in a literacy center or photocopy them to use for whole class work. There is also an answer sheet so you can quickly assess their progress or allow them to self assess and check their work. Click here if you'd like to find out more. 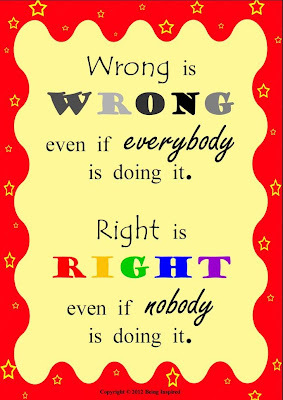 "Wrong is wrong even if everybody is doing it. Right is right even if nobody is doing it." "It's okay to not know but it's not okay to not try!" "Hands at your side. All Eyes Forward. Lips Zipped. Low Speed." Want some more freebies? 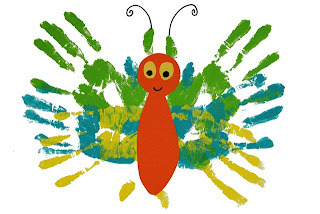 Click here to see the past 4 Friday Freebies. - Spammers seem to love my blog! Getting lots of random comments that link to equally random sites. I really don't want to turn on any verification tools but does anyone have any tips on cutting down on spam?? - I've found this little tip a while ago but keep forgetting to share in case you don't know it. You can check what's been pinned from your blog by typing in "http://pinterest.com/source/YOUR WEBSITE/". So for mine it's "http://pinterest.com/source/beinginspired-blog.blogspot.ie/". It's kinda fun to see what's being pinned! - Oh and don't forget to check the other versions of your site (.com, .ie, .co.uk, .com.au etc.). What makes a great book even better? 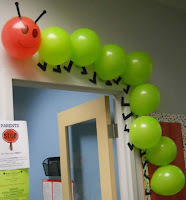 Having some props for the kids to play with while they read it! :) I found these ones over @ Kizclub.com and they are a huge hit! I took the time to cut, laminate and then cut again and they've held up really well over the last few years and lots of hands on play! 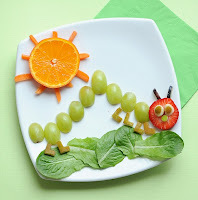 The best part about them is that the caterpillar can go through the center of each piece of food as he eats it. 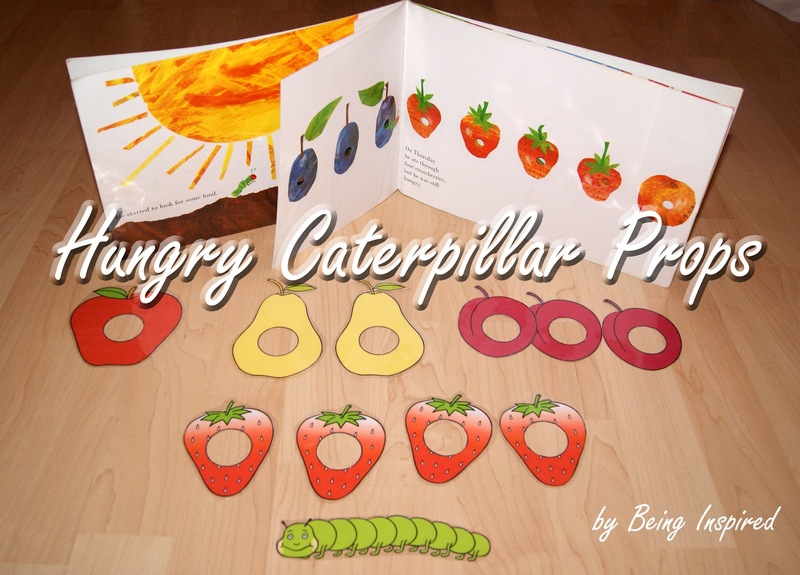 Kids love using them to retell the story! Here's two cute little poems that goes great with this book too. Unfortunately I don't know who wrote them so if anyone knows do tell me! Hate not being able to give credit where it's due. Like a little fairy boat. - Laminators really are a teacher's best friend! Do take the time to laminate these.